The bottom at Esterillos Este is sandy. 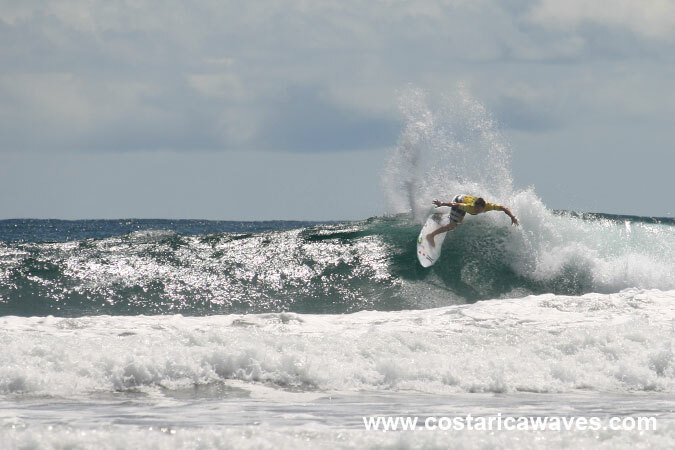 Sometime the waves are good here, but neighboring beaches are more popular amongst surfers. 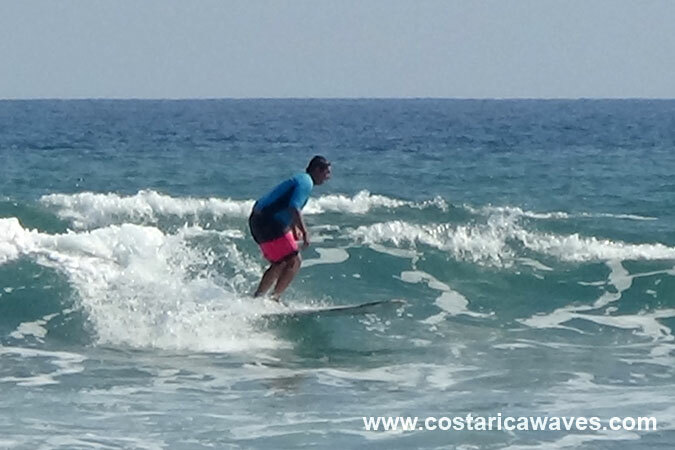 Usually the waves are better at Esterillos Centro and Esterillos Oeste. 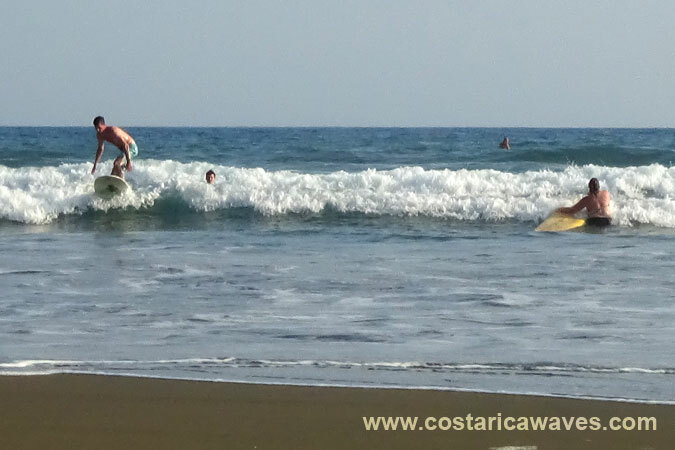 Waves at the above-mentioned beaches are faster and break good during upcoming tide. 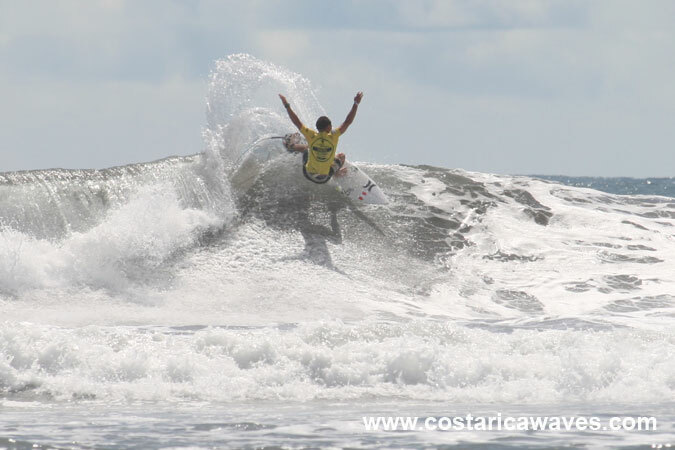 In 2016 the World Surf League (WSL) organized the Costa Rica Open Pro men’s and women’s qualifying series (QS) event in Esterillos Este. Watch out for crocodiles, especially during the rainy season! 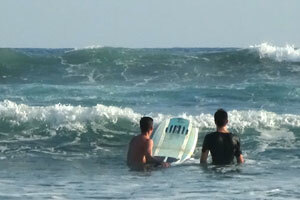 The waves break over a sandy seabed. 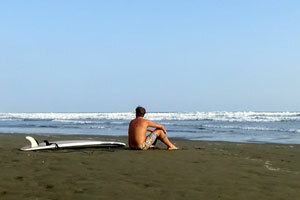 There are no crowds, it's very likely that you will surf alone. 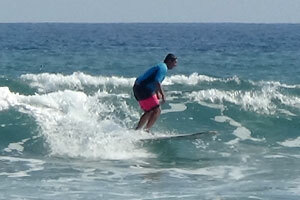 Surfing a small right hander. 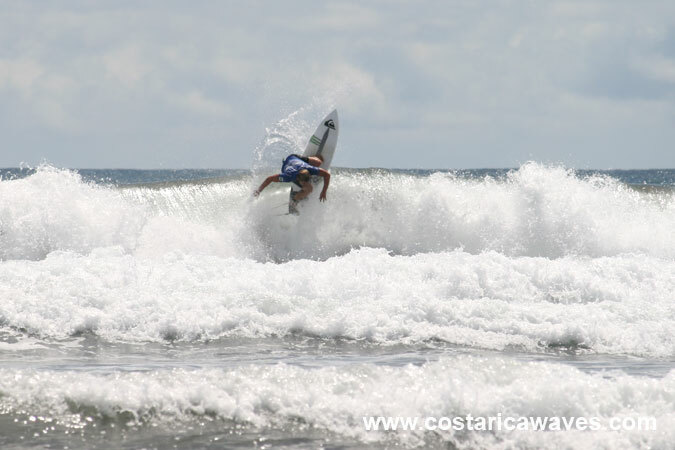 Surf school in Esterillos Este. 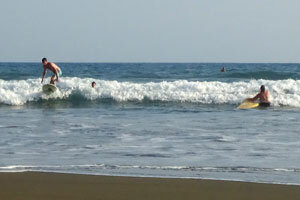 Learning to surf wihte water with a surf instructor. 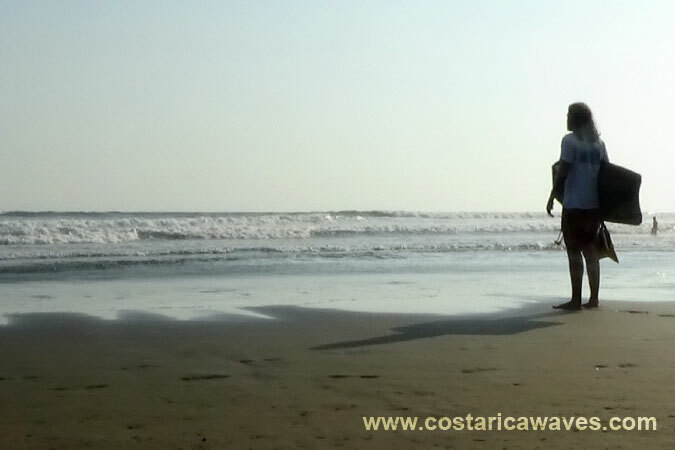 Esterillos Este is an uncrowded beach with waves peeling to the left and the right. 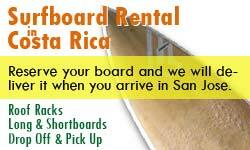 A perfect right at Esterillos Este. 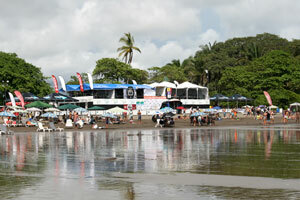 The Essential Costa Rica Open Pro (QS 3000) took place in Esterillos Este. 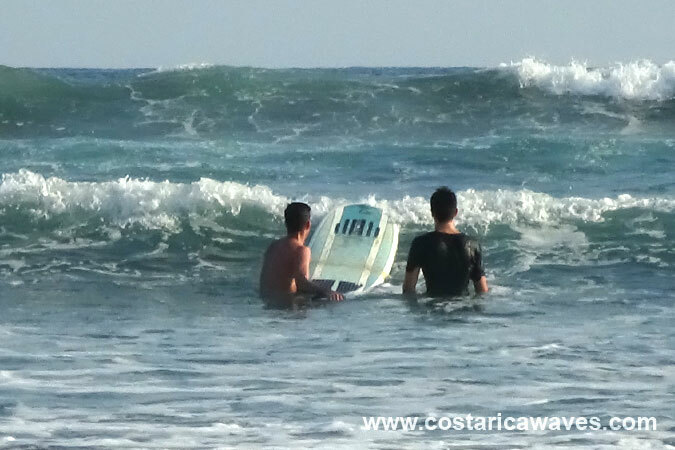 The waves a this beach are usually surfable during low- and high tide. Noe Mar McGonagle surfing in the Essential Costa Rica Open (QS 3000). 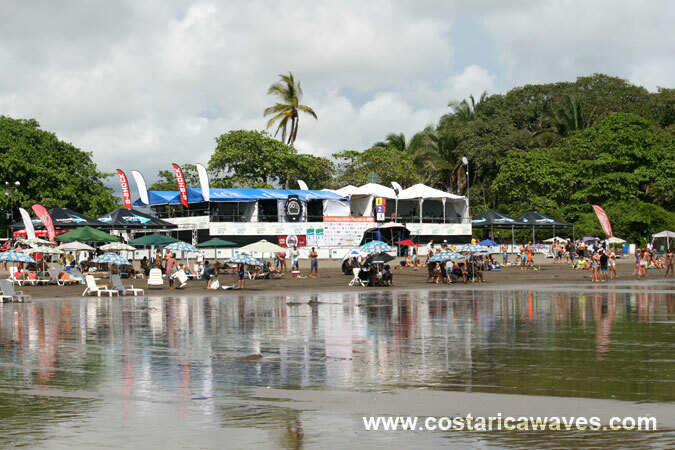 In 2016 the Essential Costa Rica Open took place in Esterillos Este. 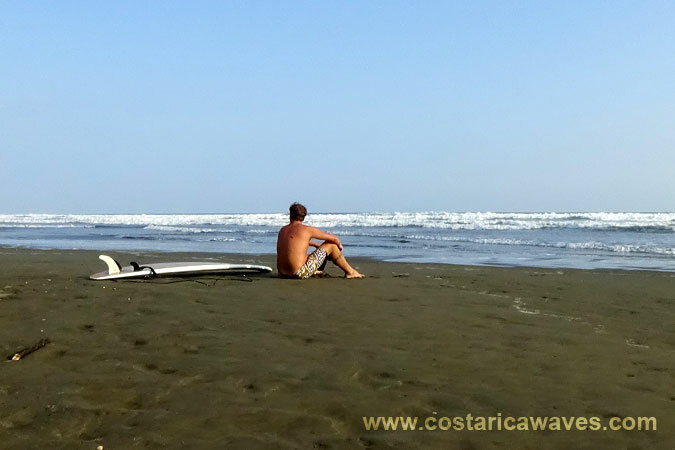 Just one of many superb surf beaches of Costa Rica!